New cottage will provide housing and treatment space and is designed for youth with the highest therapeutic needs in Kentucky’s child welfare system. 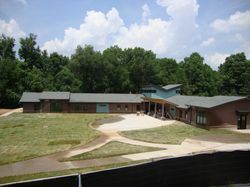 LOUISVILLE, KY. — June 23, 2015 — On June 25, Maryhurst will host a grand opening and ribbon cutting for ‘Madeline’s Cottage’, which will provide housing and treatment space for 14 adolescent girls and is designed for youth with the highest therapeutic needs in Kentucky’s child welfare system. Through the successful start of Maryhurst’s Stand Up For Girls Campaign, Madeline’s Cottage is named after long-time board member and Maryhurst advocate, Madeline Abramson. The opening culminates a 3-year comprehensive campaign raising nearly $7 million for the children in Maryhurst’s care. "We are thrilled to close out our three-year Stand Up for Girls comprehensive campaign, which allows us to open a brand-new residence named in honor of long-time board member and tireless advocate, Madeline Abramson," stated Judy Lambeth, Maryhurst President and CEO. "Without the generous support of the many individuals, corporations and foundations none of this would be possible. We are especially thankful to GE for their substantial donation of appliances that will help furnish our new cottage." The new cottage at Maryhurst will provide housing and treatment space and is designed for youth with the highest therapeutic needs in Kentucky’s child welfare system. 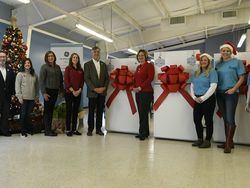 GE Appliances donated nearly $10,000 worth of appliances. Kentucky is one of two states in the nation with the highest rate of substantiated child abuse and neglect. The number of children across Kentucky in out-of-home care is at an all-time high at 7,684. In 2012, 2,579 children were abused or neglected in Jefferson County. GE Appliances, a long-time volunteer partner with Maryhurst, donated appliances for the new cottage. For more information on Maryhurst, visit, www.maryhurst.org. For more information on the GE Volunteers Network, visit gesustainability.com/enabling-progress/ge-volunteers. For 171 years, Maryhurst has cared for abused and neglected children, making it the state’s oldest behavioral health services agency. Believing the worth of children and strength of families are cornerstones for a better world, Maryhurst is dedicated to providing care and commitment, strength and support, healing and hope to children and families in great need. 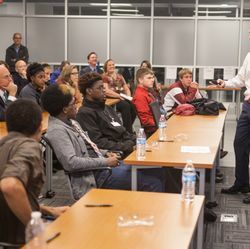 The private, non-profit agency cares for 300 children each year through a residential treatment program for teenage girls, community based group homes for teen girls, therapeutic foster care services, psychiatric residential treatment facilities, outpatient services and transitional living services. Maryhurst is recognized nationally for its expertise in caring for severely traumatized youth, most often victims of sexual, physical and/or emotional abuse or neglect. For more information, please visit http://www.maryhurst.org/ or call 502.245.1576.